There are more than 3 million eCommerce stores worldwide, and growing. If you are one of them, we can help you look after your customers and provide a frictionless way to take payments. We’ve seen first-hand how consumer spending habits are shifting year-on-year from physical to online, and the plethora of digital-only products now available. Whether you are taking collections through your website, or selling through Amazon, eBay, Magento, Shopify or other platforms, our omnichannel software can streamline your collections, enabling quick and efficient payments. Being able to take online payments by Direct Debit or credit and debit cards through an automated system means you can still be trading and selling while you sleep. It’s no longer just about the big online retailers or storefront websites for high street brands – thousands of smaller enterprises and niche-market suppliers are springing up every year. Many using shopping cart style platforms not only for products, but also for consultations, memberships, event tickets and more, all requiring a cashless payment system. As a business owner, you know cash flow is key. Your process needs to be slick, frictionless and easy to use for your customers, whether they pay by card or Direct Debit. Our efficient, robust, scalable platform offers omnichannel transaction reporting and great data visibility, enabling you to track, monitor and analyse your customer trends and spends. A goldmine to help you plan your future. We’ll take time to understand your business and provide a bespoke service to suit your systems and volume of transactions, with almost unlimited potential to expand. We think a personal approach builds closer relationships and makes our customer service that much more effective, so we provide full training and a member of our team will be on the end of a phone if you ever have an issue. Personalisation is vital in the eCommerce sector. We’ll make sure your brand name appears on your customers’ statements. We operate a secure portal, ring-fenced accounts, UK-based dual-located servers and of course physical precautions at our offices. The central reporting suite means you can analyse all transactions made through all payment channels in one place. One size does not fit all. We’ll provide a solution that suits your needs, whether you’re a start-up web store or an established brand. Consumer spending habits are changing year on year, and businesses need to become ever more savvy to online payments. Online payments via Direct Debit or card payments offer the versatility that businesses need. Setting up Direct Debit and card payment services through London & Zurich means you enjoy all the other benefits of our service, as well as getting paid quickly and on time. We are FCA and Bacs accredited, and as leaders in the payment gateway industry we take our obligations very seriously.  We are consultants at the Bacs affiliates meetings and are happy to be involved in decision making and policy development in the sector.